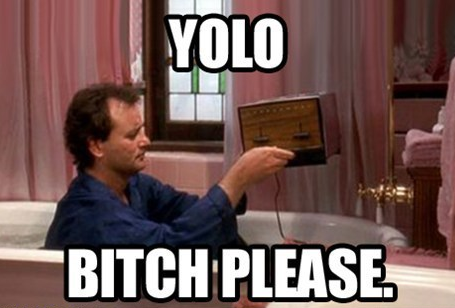 How long was Bill Murray stuck in Groundhog day, his character Phil Connors that it? It’s going to surprise you because it was a very long time, in fact it was much longer than even the director Harold Ramis thought. He was there for nearly 34 years. Read on to find out how this was worked out. Every year on February 2 the town of Punxsutawney, Pennsylvania, U.S. celebrate Groundhog Day. The people in the town, and many visitors as well, will gather to watch a groundhog emerge from its burrow. According to folklore, if it is cloudy when he emerge spring will come early, but if it is not and he sees his shadow there will be six more weeks of winter. While the town of Punxsutawney is most famous for this yearly celebration, thanks mainly to the success of the movie, the occasion is celebrated in many regions throughout the US, with the University of Dallas in Irving, Texas holding a holiday on groundhog day that is reputed to be the second largest celebration in the US. Enough on the event, now to the movie. How exactly do we know how long Bill Murray spent in Groundhog day? Well, some bright sparks with obviously a lot of free time on their hands calculated that he relived the day 12,395, or 33 years and 350 days. Remember we said it was longer than Harold Ramis thought. He had earlier estimated he spent 10 years living the same day over and over, but later said he had underestimated that figure by a lot. To figure it out the movie had to be broken down into three key stages. These stages are the 38 shown in the movie, the 414 days mentioned in the movie (which included card tricks and robbing a bank), and the mammoth 11,931 days he spent learning. The number of days spent learning is taken from the theory that you have to spend 10,000 hours to become an expert at anything. This takes into account Phil learning French poetry, ice sculpting and the piano, all in the pursuit of impressing his producer Rita, played by Andie MacDowell. But all of those stages brings us short of the mark by a dozen days. But not to worry, for the number nuts solved that conundrum for us. In addition to the tree key stages already mentioned they included his gesture days. What are the gesture days? They are the days s character spends performing good gestures such as tickets. That is how they worked how long Bill Murray was stuck in Groundhog Day.